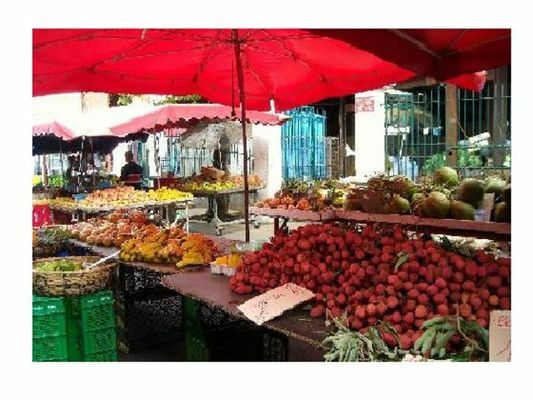 Located in Saint-Denis town centre, Le Petit Marché houses stalls selling fruit, vegetables, spices, and craftwork from the island and the Indian Ocean area, along with a wide selection of fish, charcuterie, meat and flowers. Above all, Le Petit Marché is famed for its profusion of seasonal fruit and fresh vegetables. Open Monday to Saturday from 5 a.m. to 7 p.m. and Sunday until 12 noon.